Every creature, droid and NPC has been increased to level 55. There is also a quicker spawn rate on NPCs. That means be careful where you are standing there may just be respawn when you turn around. The one quest I noticed the biggest change was inside the Gray Secant itself. The part of the quest where you have to throw the “Tron-like” disc at one droid, the first throw did like no damage, so as I neared 35% health, I was thinking, “Hmm yes, this is a bit harder.” Now, it is not impossible to do, but it might mean you group up to speed up things and also there is greater strength in numbers. 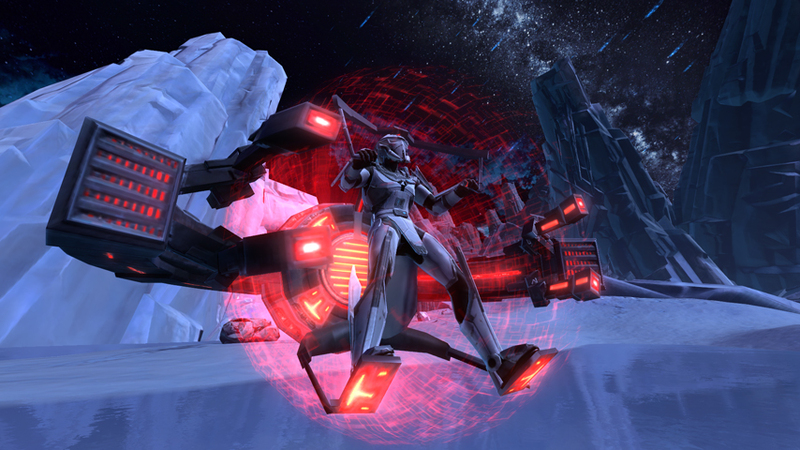 So, for those of you getting ready to take on the Gree event, especially the Bosses, be sure you have your gear ready to go…Oh, don’t forget there is a new speeder drop in loot. For those of you seeking a bit of challenge, give the level 55 Gree event a try. 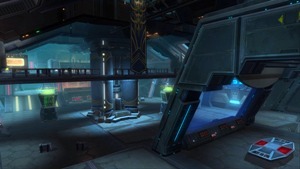 It will be going on July 23rd through August 6th, read the SWTOR article for details and a short Gree event video. 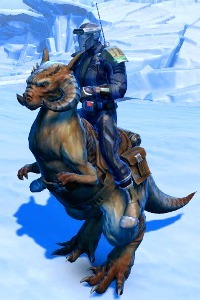 That’s right the rumored Tauntaun mounts are heading to SWTOR. This according to information received on flashdrives during the San Diego Community Cantina. In an article by Dulfy, she explains that no specific details were given other than some images, but according to her the mounts could be expected in Update 2.3 or 2.4. Since Update 2.3, we be upon us very soon, around August 3rd, I tend to favor it being 2.4 or later. Heck, I don’t care if Santa is delivering them in December…bottom line animal mounts are coming to SWTOR! Now, that’s not the only thing to come out of the San Diego Community Cantina event. 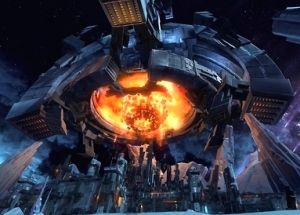 We know that there would be 4 vs.4 arenas in Update 2.4.In the flashdrives, we also got to see our first images of these arenas. The images were also part of Dulfy’s article. We don’t have any specifics on how they plan to organize the arenas or balance the arenas for the various classes, but they do look pretty interesting. I personally like the “pit style” arena at a Tatooine locale, and the Space Garage…it has that Bounty Hunter ambush quality. 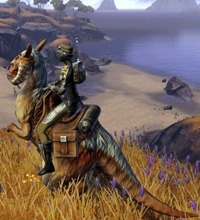 What are your thoughts on the Tauntaun mounts and arenas heading to SWTOR? Let us know in the comment section below. 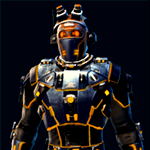 Any chance we could see the Gold Scalene Armor back on the Cartel market? Also, I wanted to RP with you last Thursday night, but had waaaaay too many shots of tequila. I blame BW of course. Good news! The Gold Scalene Armor is coming back for this weekend only. Look for it Friday! On a side note, tequila can make RPing better! I cannot speak about the matter of RPing while under the influence of tequila. However it is good to see the Gold Scalene Armor will be offered again to coincide with the Gree event going on again. It is important to note that the Gold version of this armor will only be offered this weekend according to Courtney’s post. Was just going to do this very thing! I sent out one last round of reminder PMs to possible candidates. If you think you were nominated, please check your PMs! I will be posting the polls for each class tomorrow with candidates who have responded with interest. This post from Eric was on Wednesday, so the polls for each class should be posted starting today the 25th of July. Be sure to head over to your advance class forum and look for the polls to be posted by Eric and vote for who you think will best represent your class. My wife is getting a laptop capable of playing the game, and I intend to get her hooked right along with me. That said, I know there will be a referral program, and I’m not missing out on free stuff and extra coins each month just so she can start playing in July. So devs, when is it coming back? 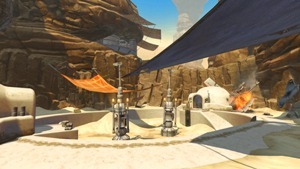 I didn’t see anything in the Summer of SWTOR thread, so I hope I don’t have to wait until after October. The targeted date for the Friends of SWTOR Program to return is early August around the same time as Game Update 2.3: Titans of Industry. 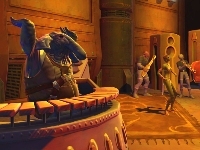 It looks like the Friends of SWTOR Program is currently scheduled to return around the time of Update 2.3. This is a great program that benefits those that invite their friends and those friends that decide to subscribe. Again there are no details on how the program will work this time or what rewards will be part of this program. The original program awarded the player who invited someone to try SWTOR and then they subscribed. The in-game reward was 110% speed increase speeder and only required a level one speeder license. The nice thing was this speeder was also awarded to the invited friend who started subscribing. I hope the reward is still the speeder or maybe a new speeder altogether. This is already a priority for us, but I can’t promise a date yet. The Nightmare Mode system was originally built on the back of Hard Mode, which is why they share a lockout. It’s a technical consequence of that fact, not a philosophical thing on our part. I’m glad to see this is a priority for BioWare to figure out a way to separate the lockouts between Hard and Nightmare Modes. Hopefully, it will be something that can be added without causing too many headaches for players and developers. Now, I’m not bashing BioWare on this issue, and I am no software engineer, but why would you build a new level mode on the backbone of an existing one? This week on Community Checkpoint, I had a great interview with the guild, Wretched Hive. Take some time and read through this article and find out what drives this guild to prefer 16-man Operations exclusively. Take the mysterious planet of Darvannis, location for the Scum & Villainy Operation, throw-in lots of deadly mercenaries, one big droid, beast handlers, weapons dealers and you have the recipe for destruction. Now, place a Dread Masters as the one behind it all and you have an epic adventure. Hmm, if there was only a group to go investigate this matter. Well, fear not, as you will see the Empire has sent a top notch crew from the Jedi Covenant server to get to the bottom of this. After the video, be sure to head over to Youtube user, lawrichai channel and let them know what you thought of the video.